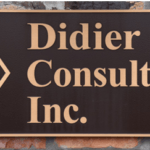 Blog – Didier Consultants, Inc.
Timmy has over 30 years of experience in the area of sales and use tax. He is a frequent speaker on Louisiana sales tax and has taught at the Institute of Professionals in Taxation as he says “for many years”. 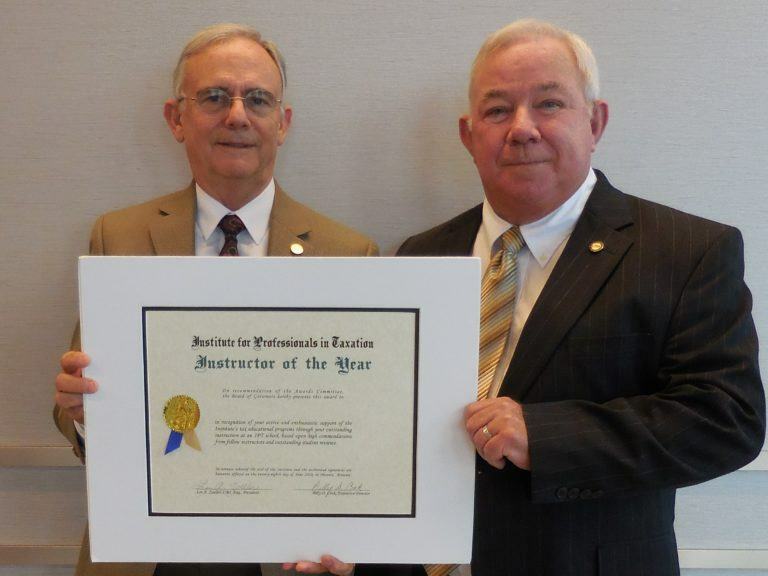 We applaud his dedication to client service and enthusiasm in sharing his tax knowledge. Congratulations Timmy, We are proud of you. When a company qualifies for the Quality Jobs (QJ) or Enterprise Zone (EZ) program, they may elect either to receive an 1.5% Investment Tax credit or a state sales/use tax rebate on qualified capital expenditures. Previously when a company filed for the state sales/use tax rebate the state was required to rebate 80% of the qualifying claim within 10 days and then rebate the balance less any amounts disallowed in an audit within 3 months. Under Senate Bill 3, the timeline has changed. Now effective June 12, 2018, the initial rebate of 80% of the qualifying sales/use tax claim shall occur within 60 days and the rebate of the balance less any amounts disallowed in an audit within 6 months. The corresponding timeline for the accrual of interest was also changed from 3 months to 6 months to coincide with the other parts of the bill. Louisiana’s Third Extraordinary Legislative Session of this year begins on Monday June 18th so we will see if there are any other changes to the incentive programs or the sales/use tax laws. Stay Tuned and contact us for more information. Louisiana’s third special session will convene at 4 p.m. on Monday, June 18, 2018, and must adjourn by 6 p.m. on Wednesday, June 27, 2018. This session like the others will consider continuing a portion of the 1% clean penny. In the prior session bills considered .33% and .5% of the current 1% “clean penny” levy. Exemptions and an increased tax on business utilities will likely be on the table. Stay tuned for updates as this will be the last special session prior to the July 1st “Fiscal Cliff”. Didier Consultants Inc has teamed up with Cost Management Services LLC to provide enhanced Work Opportunity Tax Credit (WOTC) services. Why Utilize Our WOTC Tax Credit Service? Today, Gov. John Bel Edwards issued a call for a special session of the Louisiana Legislature. The special session will convene at 6:00 p.m. on Tuesday, May 22, 2017, and it must adjourn by midnight on Monday, June 4, 2018. Gov. Edwards issued the call to address the $648 million budget shortfall recognized by the Revenue Estimating Conference (REC). According to the House Fiscal Office, on June 30, 2018, $1.4 billion in revenue is expiring. Gov. Edwards has proposed maintaining a portion, not all, of that revenue, resulting in a $400 million net tax cut for the people of Louisiana. The dates are not set but there still is talk of adjourning the current regular session early and use the remaining time for a special session. The “fiscal cliff” is still looming July 1, 2018. It remains to be seen if the final solution is to keep all, none or a portion of the clean penny in place. We will provide updates as things progress. Louisiana passed “temporary” taxes and limited exemptions within the past two years in an attempt to combat its budget shortfall. Now that the temporary “clean penny” sales tax and limited exemptions are mostly set to expire July 1, 2018 when the state’s new fiscal year is to begin, a Fiscal Cliff is looming. A budget shortfall in excess of $1 billion is projected and there is not agreement on a clear solution to address the situation. We are monitoring some of the proposed ideas that are circulating and will provide updates as things progress. Tax exposure is like a baby alligator, as it grows so does the potential danger. When it comes to tax compliance, often businesses are not concerned with small tax exposure items. Nexus in a state with small sales typically are ignored and if unchecked can grow into a big issue. 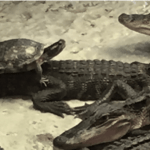 A snapping turtle has minimal worries of being eaten by a small alligator, as the alligator grows so does the risk of the turtle of becoming a main course. This is a great analogy for tax exposure in a state or parish. While it is small, the exposure would can have minimal impact on your bottom line even after penalties and interest. However, if unchecked it can grow and become a significant issue. Too often unmonitored nexus exposure becomes an issue during due diligence on an acquisition of a company resulting in a large tax escrow or even in some cases causing the transaction to fail. What steps should you take to monitor the nexus tax alligator? Periodically review your tax footprint. Take proactive action on the jurisdictions where material exposure exists or if you anticipate growth in the jurisdiction. Voluntary disclosures when available can help reduce your exposure. Monitor your website for the marketing statements related to your business activity. Many times, the tax department is the last group to know about transactions. Remember your website viewing is not limited to customers or investors, tax auditors also can view it. The statute of limitations (prescription period) only applies when you are filing returns. I have seen tax jurisdictions go back up to 10 years during an audit of unregistered taxpayers for uncollected sales tax. It is easier to correctly do things on the front end than trying to resolve old years when a jurisdiction finds an unregistered company. Remember Louisiana is not the only state known for alligators.